I love that line, “Winter is Coming”. If you are a fan of HBO’s Game of Thrones you know the phrase Winter is Coming has a special meaning. It is appropriate in this post because ONE, winter is indeed here although you wouldn’t know it in Oklahoma; and TWO, it implies that there is a impending doom upon you. Oklahoma weather is like that. One day you are wearing shorts wondering if you should reopen the pool, the next day you are wondering if you have enough firewood and if it would be cheaper just to open the freezer doors because its colder outside than inside the meat freezer in the garage. Such is life on the plains. Be Prepared, is not just the Boy Scout’s Motto it is a warning, be ready for what ever comes your way. I’d like to say I am always ready. Fact is I am ready more than I am not. And compared to other people, sometimes I’m just down right psychic in my level of readiness. A regular Okienostradamus. So with that, whether you drive a Range Rover, Discovery, Defender, Series II or III, Air Mobile, or Forward Control you should have a nice kit of preparedness in the boot. You all know this is a Land Rover blog, but this advice extends to you even if you drive a Jeep or a Honda Civic, get some basic items together and be prepared. While I was suffering from insomnia last night brought on by a runty little skunk spraying our rookie watch dog, Bocephus (RovErica named him) at 0230, I was thinking of the kit in the rear of the Range Rover and this post. I have written about this before, “What’s in Your Console” is found on my website OkieRover.com. I talk about all the items I carry in my quest to be prepared. So I thought I’d list a few items to deal with what will surely (I know, don’t call me Shirley) make you one of the most prepared flatlanders on the plains. You never know when you might be in the middle of a Snowpocalyse. 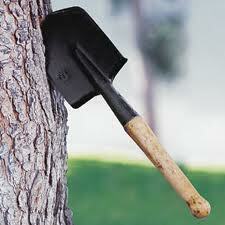 Handy for digging yourself out of a snow bank when you are in a Target or mall parking lot or dispatching zombies. 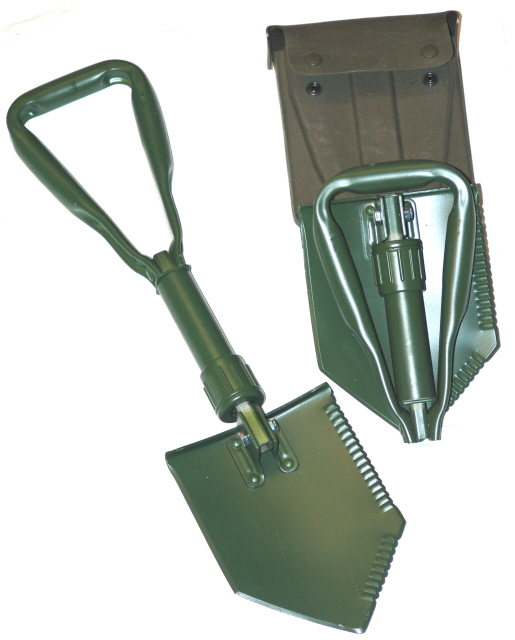 If you exercise your option to UPGRADE you could get one of these, Cold Steel Spetznaz Special Forces Shovel. Prices vary, so shop around. I have one in the Range Rover. Very handy in many situations. You could also opt for the traditional G.I. Joe Entrenching Shovel. These are available almost anywhere. The ability to have the spade set at 90 degrees to the handle is excellent for digging and pulling snow out from under the body of your motor. It also folds up and can be tucked out of the way easily in your boot (trunk). It can be used as a weapon if necessary too. I’ve heard many a story of troops using them as a last resort. Winter is jumper cable season. You may be surprised to learn heat kills more batteries than the cold, but it is true. I can safely say I have used my jumper cables in winter four times more often than summer. Get a pair of the higher quality ones. They last longer and will be easier to use when the north wind is attempting to cut you in half. Jumper cables are not very useful as a weapon unless you are a ninja or have Mel Gibson strung up by a chain to be tortured ala Lethal Weapon (1987). Every vehicle I own has a blanket in the trunk. They are useful in summer when you need a ground cover while you enjoy a picnic or fireworks show. In winter they might just save your life if you happen to slide off the road and can’t get yourself unstuck. You can get a blanket from any number of places. 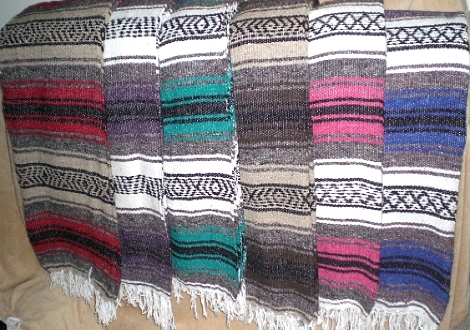 I like the woven blankets of Mexican origin. They are cheap, so cheap that if you were to get them covered with goat heads, stickers, or whatever you call them, you just leave in the nearest waste bin. I buy these when they are on clearance for a dollar at the end of winter. I toss them in the trunk and hand them to the EXCEPTIONALLY UNPREPARED MORON scraping their windshield with a credit card or their keys or their sandals. Seriously, really, I’ve seen it. Not only did the moron not have a scraper but they were wearing SANDALS IN WINTER TIME during an ice storm on the plains. 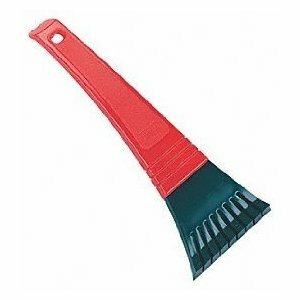 I should just let natural selection take her icy course on these idiots but the condescending judgmental looks I get to give them when I hand them a free scraper are too good to pass up. Having a tow strap might be a nice addition. Don’t scrimp on this one. Get a REAL tow strap. Rope, cord, etc… will not cut it. Chains are impractical due to the weight to distance ratio. Twenty foot of grade 70 tow chain can move up to 4,700 pounds but it also weighs 20 pounds. A tow strap capable of pulling 6,000 pounds weighs only two pounds and can be purchased for around a saw buck (ten dollars). Crawl under your car now while you are dry and warm and look for the recovery points. I’ve run into many cars that don’t even have recovery points. As a matter of fact I ran into a Mercedes sedan in my neighborhood that didn’t have a recovery point in the front. 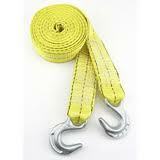 What ever you drive, find out if there is a place to hook a tow strap and how to get to it. It isn’t any fun to dig under your car when it’s in 8-12 inches of snow to find the effing recovery point only to learn TOO LATE you don’t have one there. I could probably go on for nineteen pages with suggestions. I’ve heard people say they put bags kitty litter their trunk. I can probably see that for traction on the ice sheets we often have here in the southern plains. Never used it myself. There are a hundred more items but I will not dwell on them here. Winter is Coming. Be Prepared. Take the bull by the horns. Endeavor NOT to be “that guy/gal”. 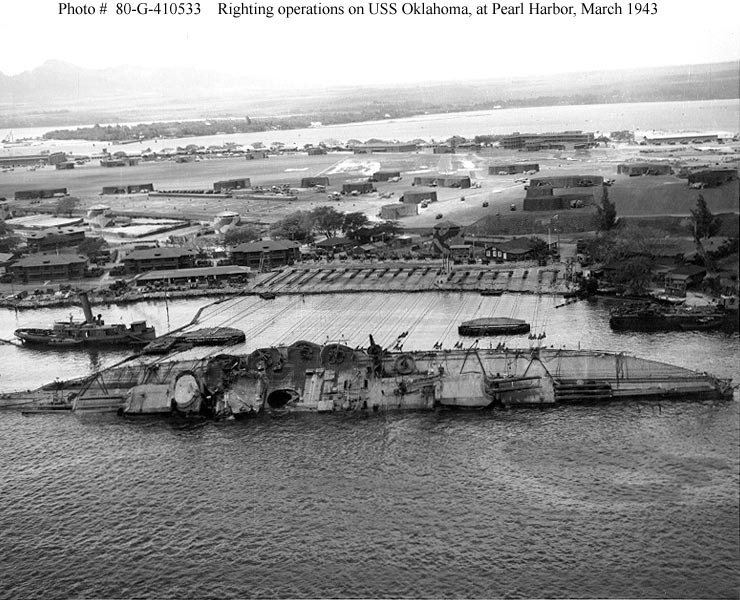 I’d be remiss if I didn’t mention today is the 71st Anniversary of the attack on Pearl Harbor. God Bless America, Thanks for reading, and Happy Rovering. This entry was posted in movies coming true, recovery points, RovErica, scouting, snow, tools, TV shows, weather, zombies. Bookmark the permalink.